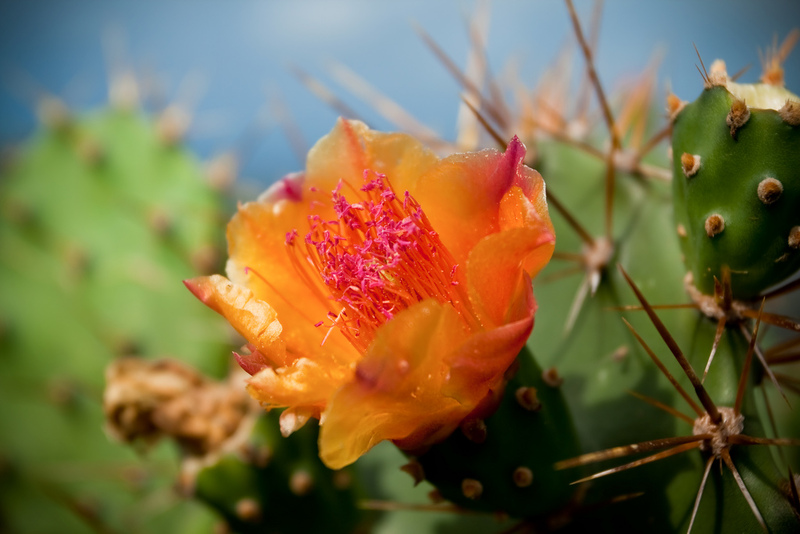 Opuntia elatior, Tuna di Baka (Cow’s Tuna) has dark brown thorns, large leaves, and orange-colored flowers. In the old days “Tuna” would be placed in fire, just long enough to burn off its thorns. Thorn-less tuna was then fed to cows and other cattle.